Perusing the breakfast section of the frozen food section can be adventure. Thankfully, several healthier options have popped up over the past several years, but the freezers are still packed with plenty of options that are best avoided. Breakfast sausage patties tend to be loaded with unpronounceable additives and preservatives, caramel coloring and sky-high sodium counts. Are there some good ones? Absolutely! Just take care to read the labels. Another option? 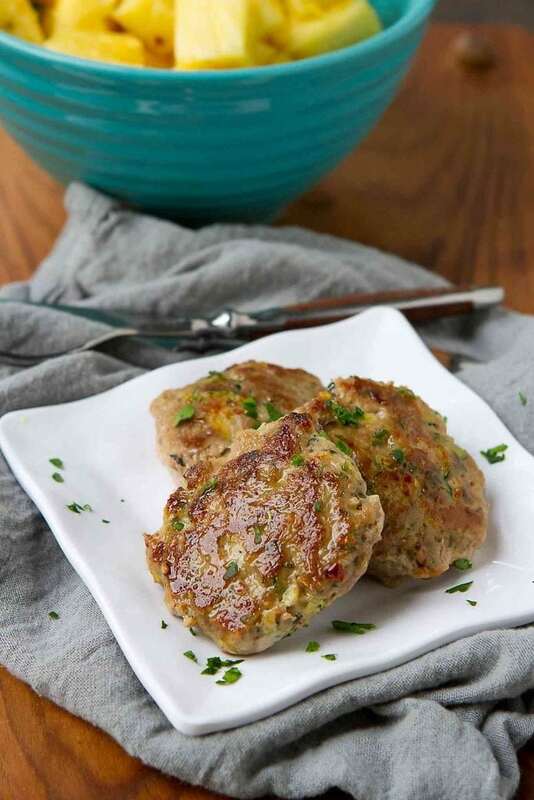 Making your own sausage patties at home is a breeze and they’re freezer-friendly, which means that you can make double or triple batches and freeze the rest for later (more on that in a moment). Make-ahead breakfast recipes for the win! 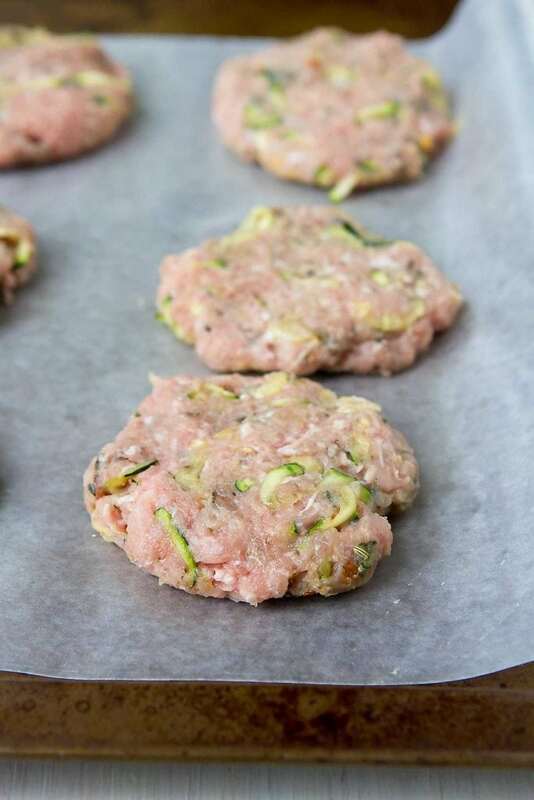 I used ground turkey for these patties and mixed it with an array of herbs and spices, and snuck in some grated zucchini for added moisture and nutrients (I love the zucchini trick for meatballs, too). While you may be tempted to swap in extra lean (99%) ground turkey, I strongly encourage you to stick with the lean version (93%). The extra lean produces dry patties. No one wants that! There are a couple of different ways to do this, either pan-fried or baked. Since the ground turkey is already leaner than ground beef and I’m a proponent of the benefits of healthy fats, I prefer to pan-fry the patties in some olive oil. In my opinion, this produces the moistest, most tender patties. If you prefer to bake them in the oven, preheat the oven to 375 degrees F. Place the patties on a baking sheet lightly coated with cooking spray or brushed with olive oil. Bake until the patties are cooked through, turning halfway through cooking, about 25 minutes. Switch over to the broiler and brown the patties for 1 to 2 minutes. Watch carefully so they don’t burn in this last step. 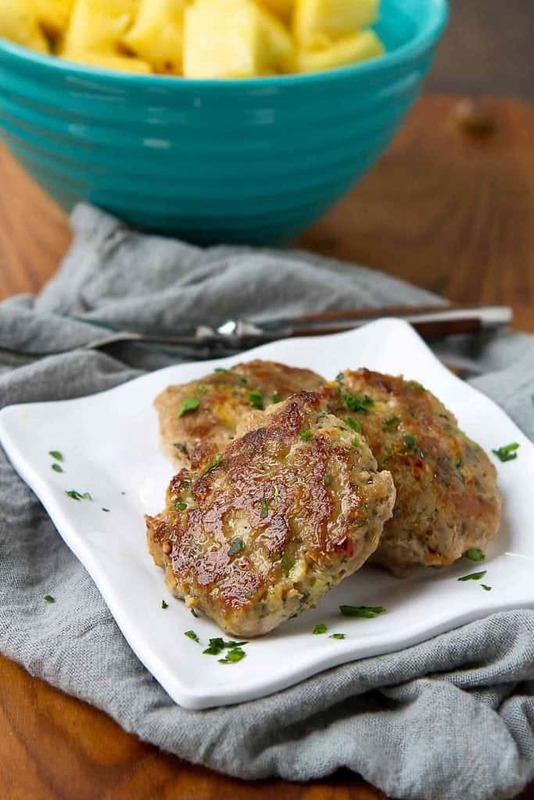 These patties are fantastic to have on hand for weekday breakfast or weekend brunch. I like to make a double or triple batch then freeze the patties. Once the patties are formed and placed on the wax paper-lined baking sheet (you can also use parchment paper), cover loosely with plastic wrap and pop into the freezer into mostly frozen, about 1 hour. Peel the patties off of the wax paper and transfer to a large resealable freezer bag. Place in the freezer. 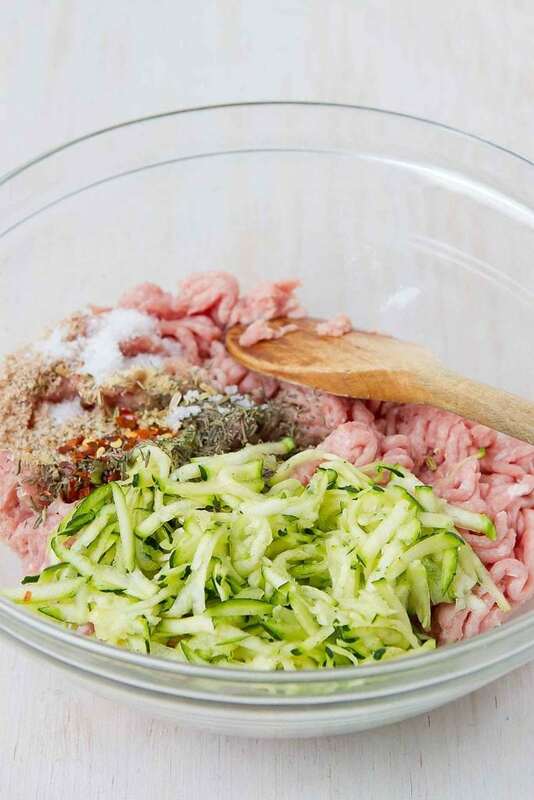 In a medium bowl, combine all of the ingredients except for the olive oil. Stir until well combined. Divide the mixture into 8 portions. Using your hands, form each portion into patties about ¾-inch thick. Place the patties on a baking sheet lined with waxed paper until ready to cook. If not cooking right away, cover with plastic wrap and store in the fridge. Bring to room temperature before cooking. Heat 1 tablespoon olive oil in a medium nonstick skillet. Add 4 patties and cook until the patties are browned and cook through, about 8 minutes per side. 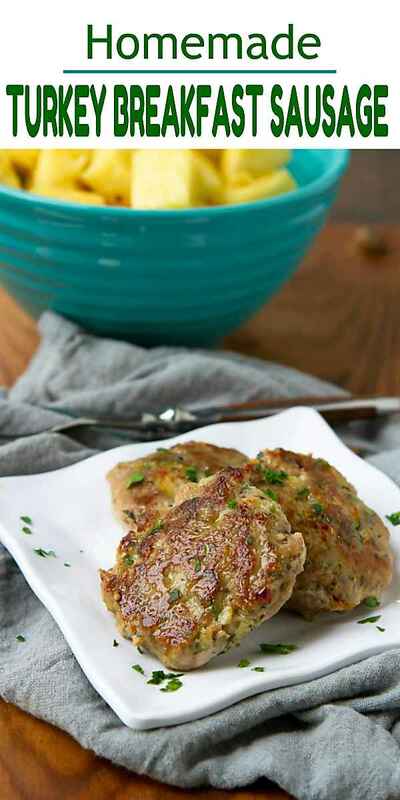 Repeat with the remaining 1 tablespoon olive oil and patties. Serve. *If following a Keto or Whole 30 diet, you may leave out the maple syrup.